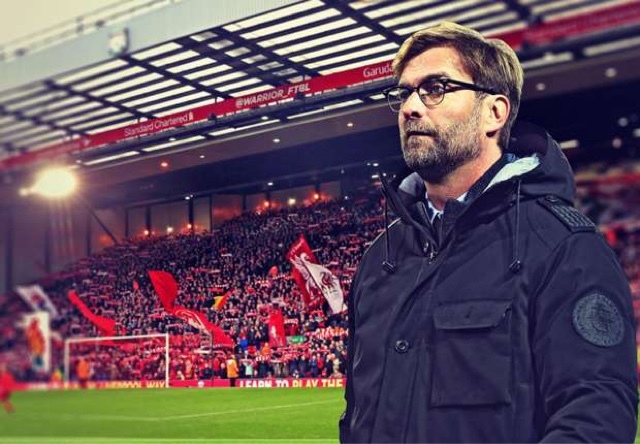 I am fully behind Klopp, I believe he is the man to take us back to the top. I thought it was time for Rodgers to go and I thought Klopp was the ideal replacement, although I never really thought for a minute that we would get him. Klopp will obviously need time, we have fallen a long way, but we need to be patient we have one of the very best managers or coach in the world we will improve. Having said all that I have some concerns that I hope Klopp will address in time. Firstly and most importantly several of our first team regulars are simply not good enough, we have been poor in the transfer market and in my opinion we need to recoup some money by getting rid of players who should not be part of the squad never mind the first eleven. My mane concerns are Mignolet, Lovren, Lallana, Bogdan and Skrtel, but we also have Balotelli out on loan. There are several other players such as Can, Moreno, Origi and Markovic who have received criticism but as yet are young and in with a good chance of making it so I would hope that coaching is the solution for these players, I am also concerned by Milner but again I'm prepared to give him a bit of time. This is a minimum of five players that need changing just to have players of the required minimum standard never mind anything extra that our new manager requires already looking like wholesale changes for an unhealthy third year. My second concern is injuries, not that we are having so many or that some of the injuries probably more than our share are long term this is just bad luck, every team goes through unlucky periods. I'm more concerned about the apparent lack of knowledge, skill or expertise in the club we continuously seem to be unable to diagnose problems or how serious they are and are left with statements such as Firmino appears to have damaged his back, We think Lovren has picked up an injury, Henderson has done something to his foot. We should be able to say more than I think and we will know more after a scan these are multi million pound talents, no wonder they all head of to America for treatment as soon as they get a chance it appears that at the club, we haven't got a clue. Players are out for too long Sturridge has now missed three games with what we were told was a very minor knock when he comes back he will only play a few minutes for a couple of games meaning he will have realistically missed at least five games, Benteke and Henderson we were told only had minor knocks yet have been missing for weeks, these are all players we need on the pitch, not forced back early but fit and playing. My third concern is around the coaching at the club and I am hoping that bringing in Klopp will already have solved this but for me with the notable exception of Suarez and possibly Henderson every player we sign appears to go on a downward trajectory they simply get worse year on year until we eventually sell them. I accept that the Liverpool shirt is a heavy one and some transfers just fail but everybody? The latest two players who we signed in the summer and who have played just about every game are Milner and Clyne and in my opinion both fit into this pattern so far in that Milner has just failed to show the quality he did at City, running ability yes but quality not yet. Clyne was setting the league alight whilst at Southampton but like Lallana and Lovren before him has not looked anything like that standard with Liverpool and is now starting with the individual errors that will start to knock his confidence. I hope that Klopp and his team can reverse this very worrying trend on the training pitch. Lastly I'm concerned about us the supporters we have gone to sleep, perhaps battered into submission by Rodgers' teams but Klopp has asked to us to believe because he knows that once we do we can and will give the players the confidence they need and then we will truly be the twelfth man that they need. We need to change the atmosphere in the ground from one of worry and doubt to one of belief and celebration. Klopp and his team can turn things around but it's going to take time we are a long, long way from the team we want and deserve but at least now are taking steps, baby steps yes, but steps in the correct direction. For most of his time at Liverpool I fully supported Rodgers, I wasn't against his appointment and liked what he did and the style of play he implemented and then of course there was that season and we all owe him a huge thanks for making us dream, we were so close, and he lifted us all. But then things started to go wrong, one or two strange transfer decisions, some bad team selections and formations and some poor tactics led to some embarrassing results and then for me the worst thing was he refused to change and couldn't stop the slide. So in the end it was time to go, perhaps even past the time but Rodgers leafs with my thanks and best wishes I really do hope he goes on and achieves. Then Klopp arrived. When we were linked I couldn't believe it he seemed the perfect man for the job but he wouldn't consider us, would he? I wanted him everybody in the world can see that Klopp and Liverpool are a perfect match, but there was no way our owners would get Klopp. Then the news was breaking that we had approached, that we were in talks and all of a sudden I'm looking at Twitter every two seconds I'm plotting planes from Germany on my computer and he's here, he's our manager. Almost before we knew it Liverpool have appointed a world class manager but on top of that we have one with personality and charm the man who is a perfect fit for Liverpool. I not only wanted a good manager, I wanted one who understands our club, one who shares the passion with our supporters, who can walk the walk and go toe to toe with the other big managers in the country, who will fight for Liverpool, they need to have a proven track record , they need to be able to develop players, to buy players in he transfer market who can reach the very top, to attract those players to a club who has fallen from grace a little and to do all this whilst under pressure to win not just games but the biggest trophies available. Is there a manager in the world who can do all this, yes, just one Jurgen Klopp he certainly has the passion and the charm we have seen that in his time in Germany and already in his first interview and press conference for Liverpool. Proven track record, check, the man has achieved in Germany whilst taking on Munich one of the world giants. Can he develop players and work in the transfer market, of course he can look at the players he took to Dortmund and then coached to become some of the bigger names in world football, if I was a Liverpool player I would be very excited at what he can do for me. It's a big job at Liverpool, no doubt, but it was at Dortmund we a very similar clubs and they were in a very similar position anybody want to bet he can't do it again. again that's what we wanted to hear a very impressive man who has spoken so much sense in his first press conference that if there were any doubters surely their minds have been changed already. He has asked the supporters to turn from doubters into believers. I believe, just watch us go, they are all looking over their shoulders and they are scared, Anfield will soon be rocking again under "the normal one"